See more objects with the tag animals, domestic interiors, coffee/tea drinking, nature, deer, teapots. See more objects with the color darkgrey dimgrey lightslategrey or see all the colors for this object. This is a Teapot and lid. It was manufactured by Velten Vordamm. It is dated ca. 1928 and we acquired it in 1996. Its medium is glazed earthenware. It is a part of the Product Design and Decorative Arts department. 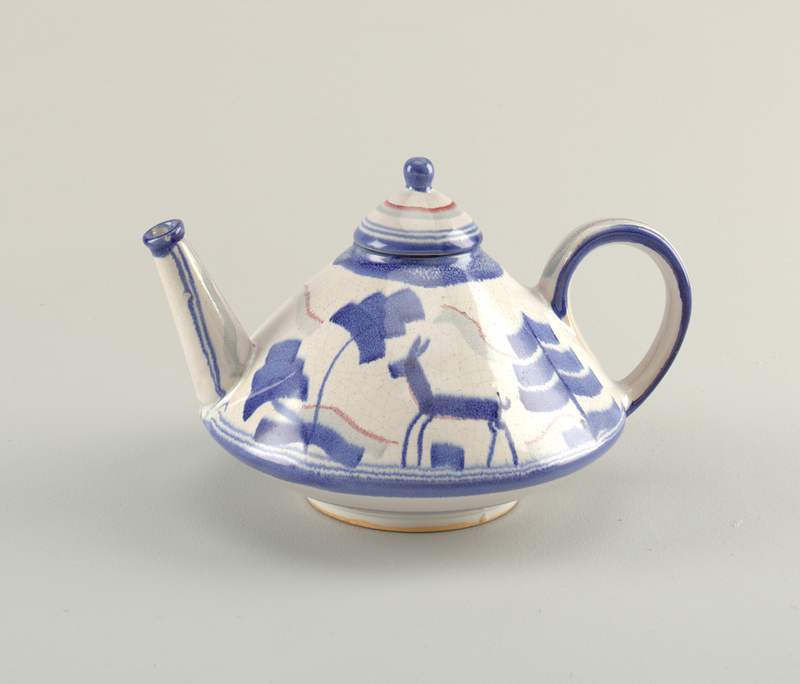 On bottom of teapot in underglaze blue, a tulip shape and "E14B(?)". Also, in green "Germany".